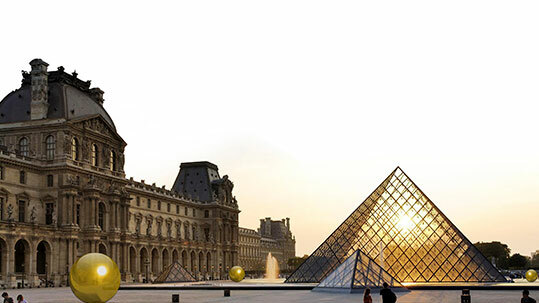 Can you imagine being able to stay in the Louvre right next to the Museum? 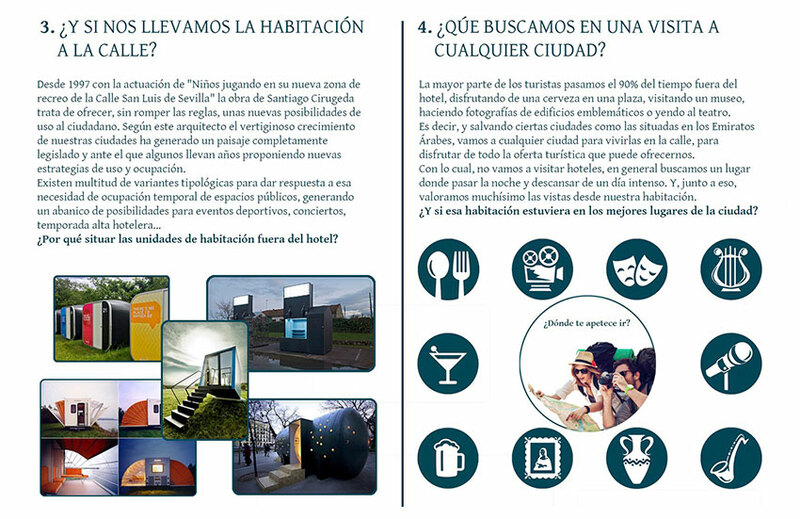 Discover this new hotel concept winning the First Prize of the Professional Category of the competition InterCIDEC’16. Now it could be reality to get to know the city from an exceptional location. Enjoy a stay in the best parts of the city, walk to that great museum or be right next door to the exit of the opera … That is Itinerant Hotel. 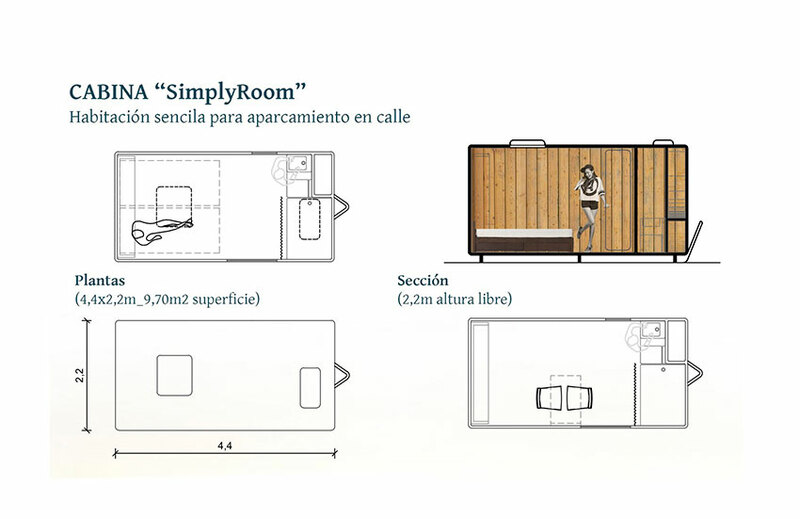 A mobile room (a cabin) that can be located anywhere in the city, available to tourists or visitors, and according to demand. The booking system would be similar to that on any Internet platform, which can be fully managed from a mobile phone. 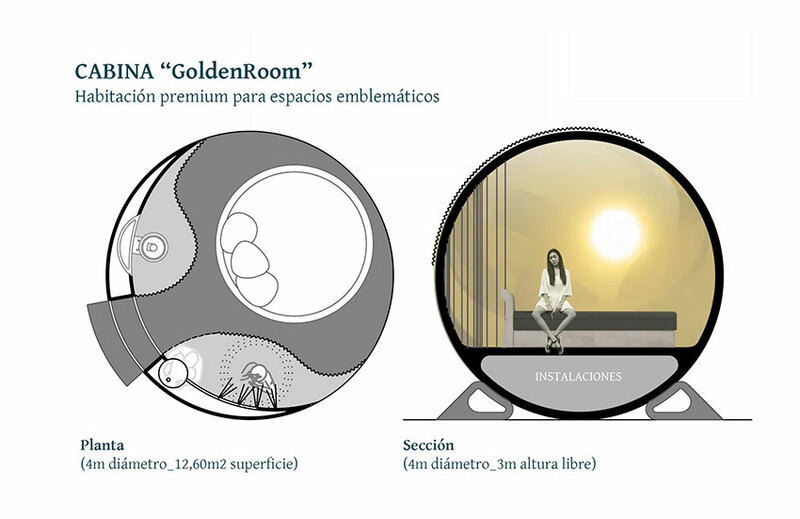 Once the stay is reserved, an external transporter would place the mobile room in the desired location, later being able to change the position so that the user can enjoy other different areas of the city. the world of hospitality is coming. Just as musical companies did not understand that young people today consume music online or that Wikipedia made the Encyclopaedia Britannica disappear, Itinerant Hotel presents itself as a great opportunity for any hotel chain or establishment to extend its business through such rooms, which can be located wherever the customer wishes. If we look for analogies, we can focus on the new service of Rent a Car, already offered by several companies. These allow you to access a vehicle that you can find on any public road, using it during the period that you need it, and then returning it, or better still, leaving it without having to deliver it to a branch location. Such a service would make an entire city a potential hotel. This street occupation system is based on the use of public roads in accordance with current regulations, as it is applied a rubbish skip or a market stall or street vending machine (churros, for example). 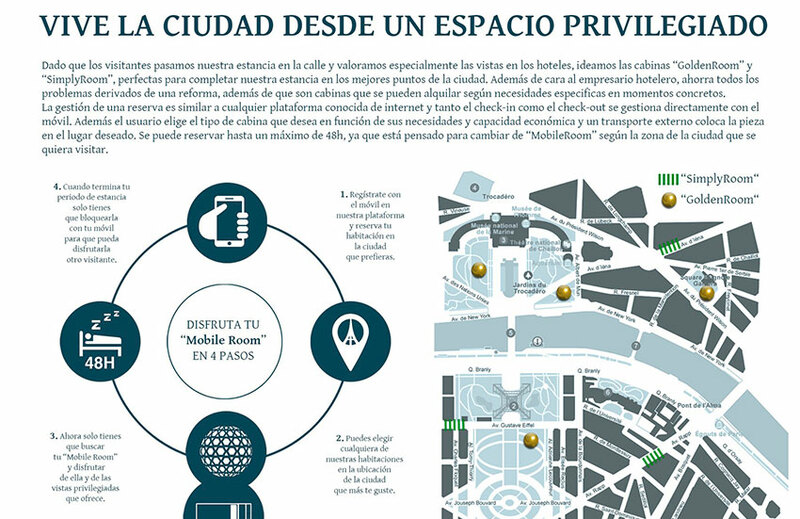 In the city of Barcelona, many merchants request a permit to place their stalls on the public road … What if hoteliers decided to extend their business? What if they were able to take the room to the street? 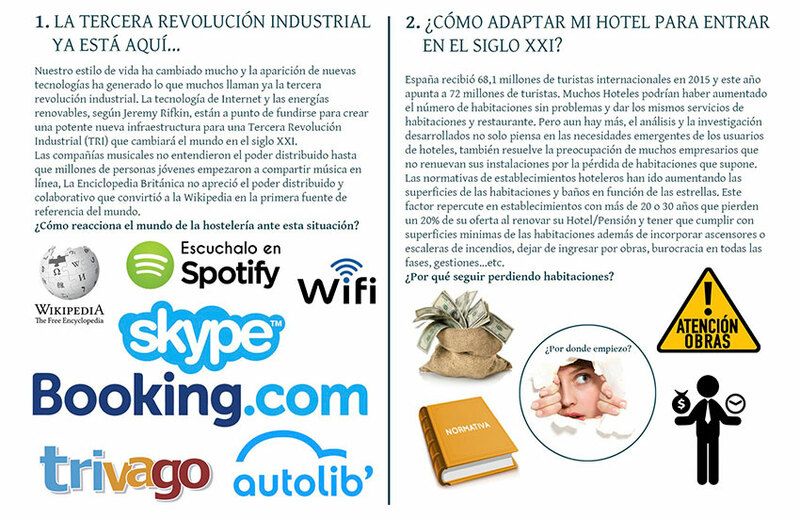 The difference today is not only in the form or aesthetics of the hotel establishment but also in this new way of understanding hotel demand, from which emanate these new proposals resulting from the analysis and research of the needs detected in users. With this new concept, any hotel could increase its hotel offer according to demand. Of course, with the option of simple rooms, premium rooms, etc. We applaud this great idea from Maza Lab Studio!